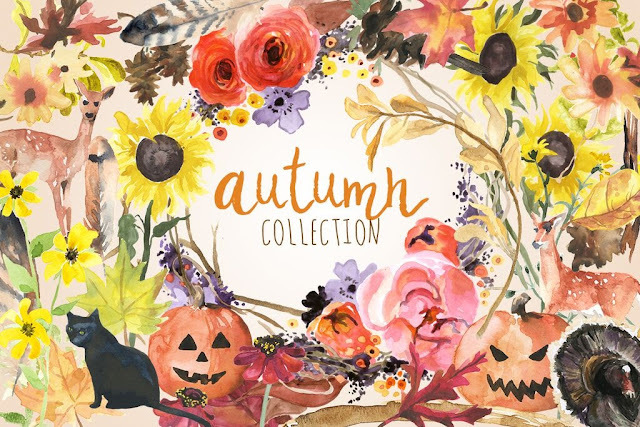 When I got a preview of the Beautiful October Bundle from The Hungry JPEG I literally had to tear myself away or I would have spent 5 hours looking at all of the goodies that are included in this amazing font and design deal..even better is the $29 price tag is 96% off retail! But what really got me excited about this month's bundle is all of the graphics that are included. 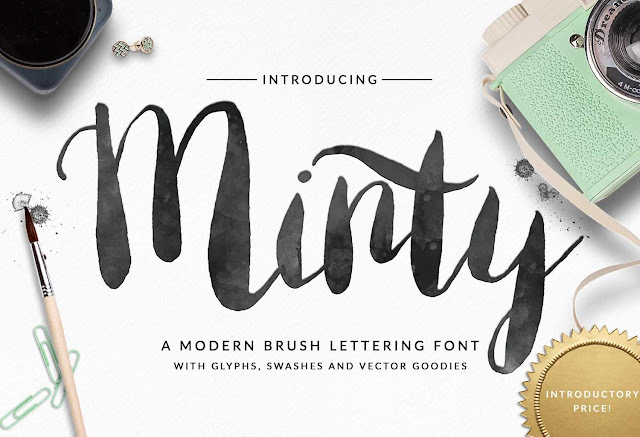 There are literally thousands of designs in the bundle - something for every occasion and season - and just like the fonts - they're all available for commercial use! 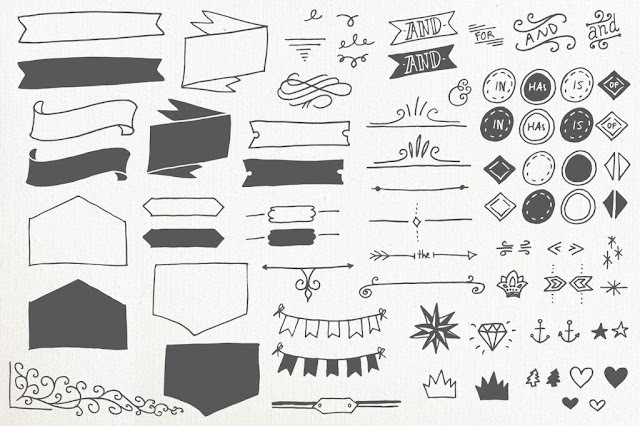 TIP: For the sets that come in as a full set and not individual designs, I like to trace the whole set and save it in my Silhouette Studio library so I don't have to re-trace the elements all the time. Be sure to put a 'commercial' tag on it so you remember you can use any of the design elements commercially. I print and cut several of these designs for various HTV projects! Nothing like faking my watercolor skills. 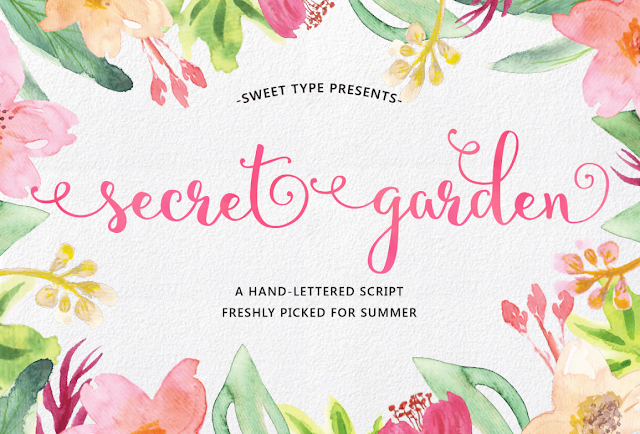 The Typography elements are adorable and perfect for chalkboard printables! 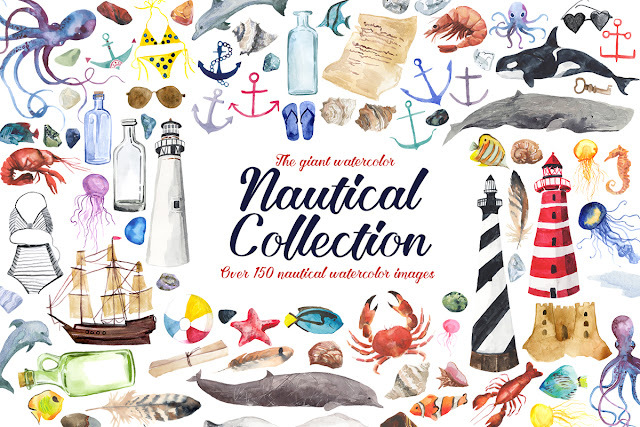 And you can't go wrong with this awesome Nautical watercolor set. I almost wish I had a nursery or something to decorate..I'd be printing and framing all of these! I actually did throw together a quick project using some of the glass bottled in the Giant Nautical collection. How perfect are these glass bottles (and, again, the fact that I can now pretend to be a watercolor artist?). Perfection. 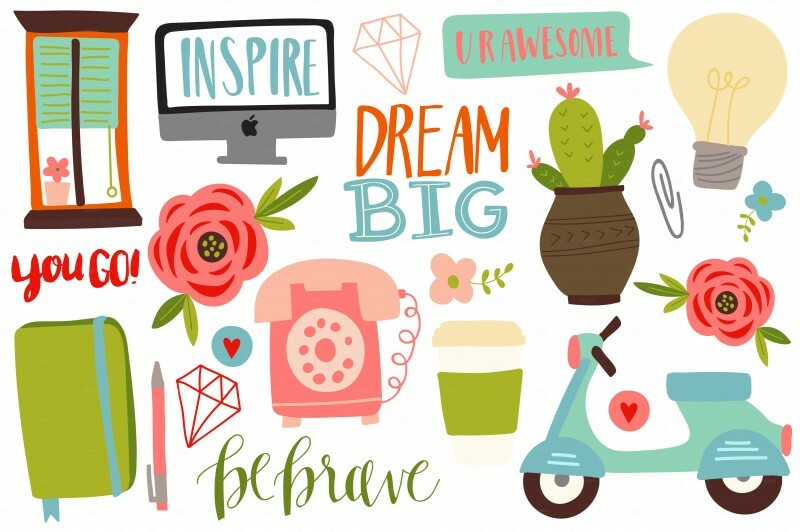 And finally...the Dream Big Graphics set is just adorable! Hello, stickers...planners...printable....shirts...cards....scrapbooks!! 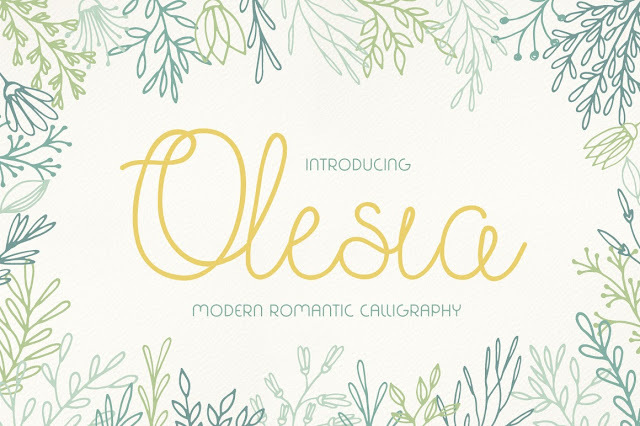 And because I don't want the fonts to feel left out....here are a few of my favorite fonts from the Beautiful October Bundle. I should also point out that two of the fonts are coded in a way that you can access all of the special characters and glyphs in Silhouette Studio: Aaron Script and Florabella. Here's how to access all the special font characters. 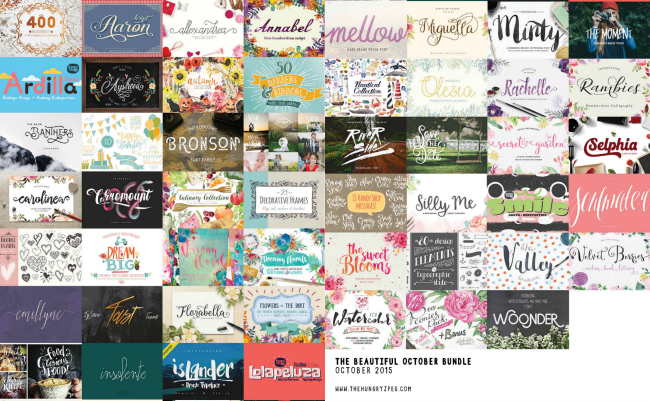 I wish I could show you everything that's included in the Beautiful October Bundle, but it's seriously so many fonts and designs I think I'd break the Internet (or at least my blog) if I attempted to upload all the pictures. So you'll just have to hop on over to The Hungry JPEG to check out the full bundle, but take it from me..this pack is worth every cent of $29 especially because you can use them commercially! And don't forget, this one only lasts from October 1 to November 1, so hurry! 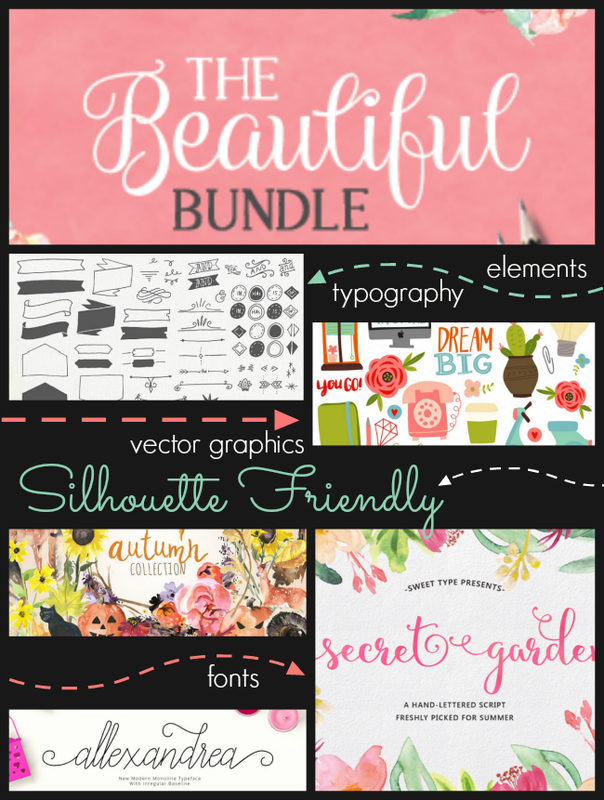 I bought the beautiful bundle from Hungry Jpeg. My silhouette is saying the file is not supported. It doesn't seem to matter which font I try to install. What can I do to fix this? I actually got the e-mail on this yesterday, and you are right about the graphics alone being worth the money. These graphics(especially) with the commercial license are perfect for note cards and invitations designed in Silhouette. I print my files to Bullzip pdf printer (you can download it free) and then take them to staples to be printed on a laser printer. have you had issues with cameo not reading registration marks when you have them printed elsewhere? I love your blog and all the helpful information you provide. Thank you and thank you also for giving us a heads up on the wonderful Hungry Jpeg package! Does anyone use these fonts for vinyl? If so, do most of them cut pretty well? I have not bought from The Hungry JPEG before. Thanks! Do you print the watercolor images on 'water color' paper?